Born in Tokyo(Japan). 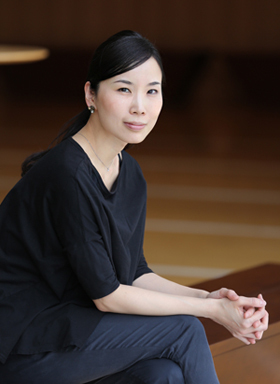 Studied under Yuko HIRUSAKI, Hiroshi SUZUKI, Bela Siki, Pietro Galli. 2004 Finalist at the Opera de Paris(France) competition for ballet accompagnist. Worked in Europe as a pianist for Patrick Dupond, Dominique Khalfouni, Attilio Labis, Michael Donard, Jennifer Goube and many others. Awarded an internship by the Japanese government Agency for Cultural Affairs in 2006 as a pianist at Wiener Staatsoper (Austria) . Currently main pianist for class and rehearsal at New National Theater, Star Dancers ballet, studio Architanz, Tokyo. Ballet Pianist – Ayumi Hirusaki	/ Copyright © 2010-2019 蛭崎あゆみ All Rights Reserved.